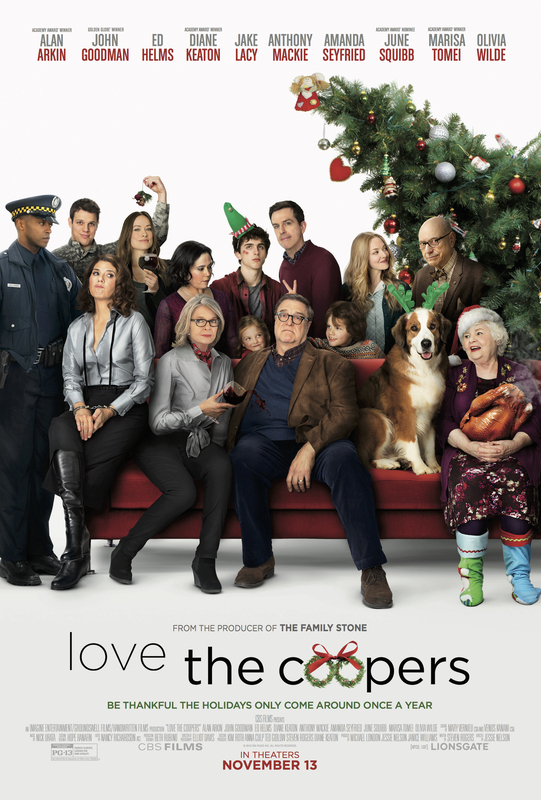 REPUBLIC RECORDS will release the “Love the Coopers” Official Soundtrack Album. Capturing the Coopers’ holiday theme, the soundtrack includes the studio reunion of Robert Plant and Alison Krauss on their Christmas original “The Light of Christmas Day,” their first recording since 2009’s platinum-certified Grammy Award® Winner for “Album of the Year,” Raising Sand. Otis Redding’s “Merry Christmas Baby,” Sixpence None the Richer’s “Carol of the Bells,” and also features seasonal classics from Bob Dylan, Nina Simone, and more. Debuting on Friday, November 13, 2015 through all digital retailers. The highly anticipated film opens in theaters everywhere the same day. Enjoy a new holiday tradition with the “Love the Coopers” Official Soundtrack Album. A division of Universal Music Group, the world’s leading music company, Republic is home to an all-star roster of multi-platinum, award-winning legends and superstar artists such as Ariana Grande, Black Sabbath, Florence + the Machine, Godsmack, Gotye, James Blake, James Bay, John Mellencamp, Keith Richards, Nickelback, Of Monsters and Men, Seth MacFarlane, among many others. Founded by brothers and chief executives Monte and Avery Lipman, it is also comprised of innovative business ventures including American Recordings (The Avett Brothers), Brushfire (Jack Johnson), Cash Money (Lil Wayne, Drake, Nicki Minaj), John Varvatos Records (Zac Brown Band), Lava Records (Jessie J, Lorde), Monkeywrench (Pearl Jam), Casablanca Records (Tïesto), NBC’s The Voice, XO (The Weeknd), School Boy Records (PSY, Sheppard), among others. In addition, Republic maintains a long-standing strategic alliance with country powerhouse Big Machine Label Group which is comprised of Big Machine Records (Taylor Swift, Tim McGraw, The Band Perry, Florida Georgia Line, The Eli Young Band) and Dot Records (Maddie + Tae).